Tablet computing devices took the consumer market by storm during the past few years by filling the size and functionality gap that exists between laptop and ultrabook PCs and smartphones. More recently, tablet devices have made steady inroads into industrial and other enterprise and governmental environments. As tablets continue to evolve into an indispensable tool for industry, business and government organisations, it’s become clear that those enterprise roles demand specific requirements. 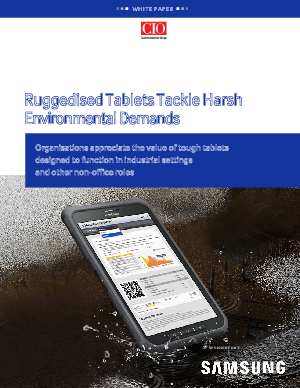 Enterprise-grade tablets must have anti-shock protection; be water and dust proof; feature long battery life; Robust connectivity over 3G/4G, Wi-Fi networks and Near Field Communications; be viewable under sunlight, and especially enhanced security features. The requirements don’t end with the capabilities of the devices themselves. Industrial and other commercial tablet users also need tablets backed by both a strong software partner ecosystem, and by a vendor that offers service plans, extended warranties and other commercial-grade support programs. Download your copy now to find out more.